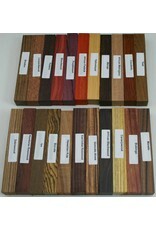 22 different exotic wood pen blanks all of which are of excellent quality. 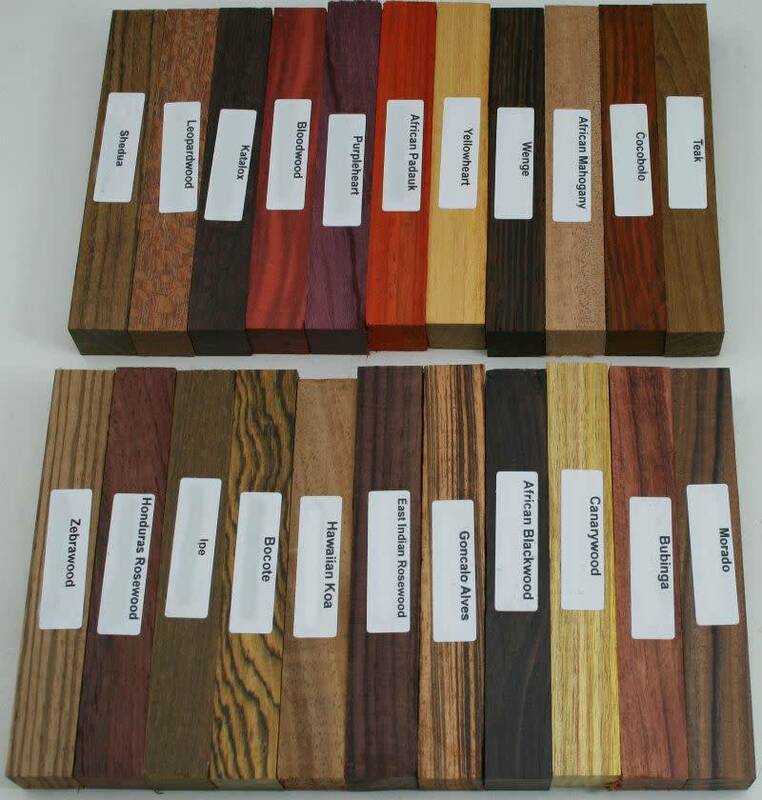 one each of Bloodwood, Purpleheart, African Padauk, Canarywood, East Indian Rosewood, Cocobolo, Shedua, Wenge, Morado aka Bolivian Rosewood, African Mahogany, Bocote, Zebrawood, Leopardwood, Teak, Yellowheart, Katalox, Ipe, Honduras Rosewood, Goncalo Alves, Bubinga, Hawaiian Koa and African Blackwood. They measure approx. 3/4" square by 5" long.